Lock in a great price for Guangdong Victory Hotel – rated 8.2 by recent guests! The location is very good, in a calm area of Sha Mien. 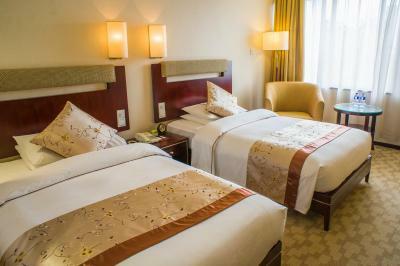 The Room are confortable and clean. Avoid rooms facing the busy street with flyover. A famous high class institution. Exactly what you would expect. Feels like a classical luxury liner. 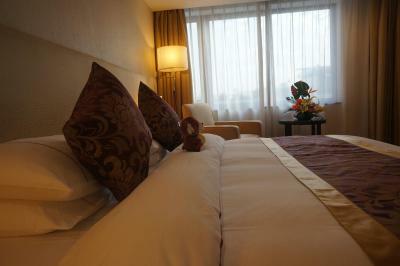 I had a very comfortable room, large, tastefully decorated. I was on fourth floor, with a balcony overlooking the street. Nice bathtub with plenty of hot water! Good breakfast buffet, with both Chinese and western options. Great location in a relatively quiet, tree-lined neighborhood, on an island surrounded by very busy and interesting neighborhoods of Liwan district (small shops and lots of street food.) Really good vegetarian Chinese restaurant right around the corner. Helpful staff at the front desk who spoke some English. The bed was amazing! there was such a comfortable mattress & pillows! especially in China, where the beds are usually rock hard. Such a lovely surprise. Great customer service, friendly and helpful staff. It's a hotel with alot of history. Great location. About 10 minutes walk from the nearest subway. Shamian Island, on which the hotel sits, is a quiet retreat of colonial architecture within an otherwise crowded and frenetic city. The hotel also has a certain colonial charm. In the lobby, the clocks for different cities around the world mostly showed the wrong time, perhaps indicating that the hotel functions at a more leisurely pace than the rest of the city. 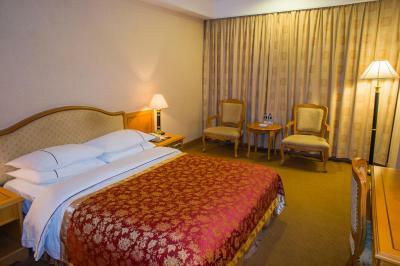 Nice Room, very good bed, big TV with many various channels and clean bath room with immediate hot water. Very good breakfast at reasonable price ( about $ 16.00 ) and location at historical Shamian Island and variety of restaurants, including Lucy's with wide menu from Russian Borscht to Indian Curry and British Fish & Chips. 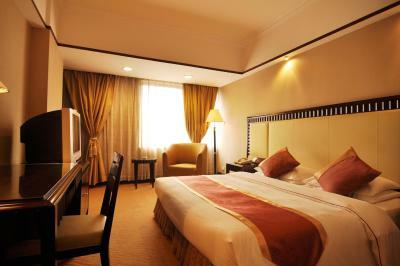 It’s very nice location, old five star hotel with great value, friendly staff. Location was good , beautiful view from the balcony. Perhaps you should only rent the room without the balcony , not because it is cheaper but because there is no mean to use a balcony when the weather is scorching hot and the it's west. Staff is polite and speaks good English. they are very willing to help. Room clean. 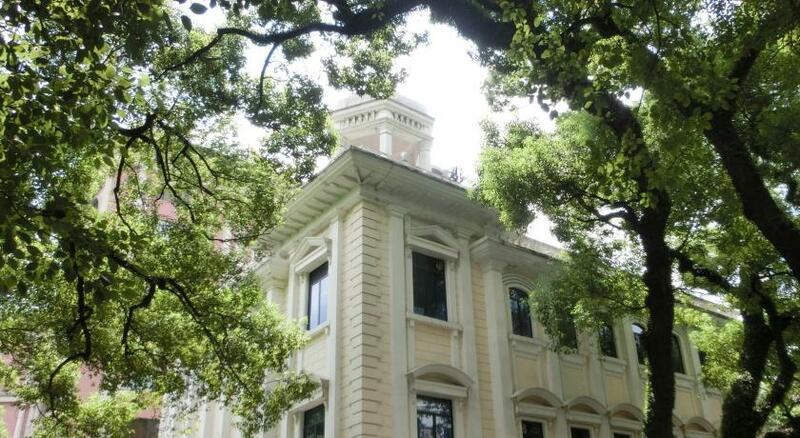 One of our top picks in Guangzhou.Surrounded by breathtaking landscape, Victory Hotel houses 2 buildings including East Building with modern touches and West Building with classic elegance. 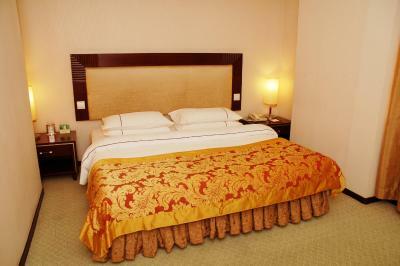 It features an outdoor pool and rooms with free high-speed internet. 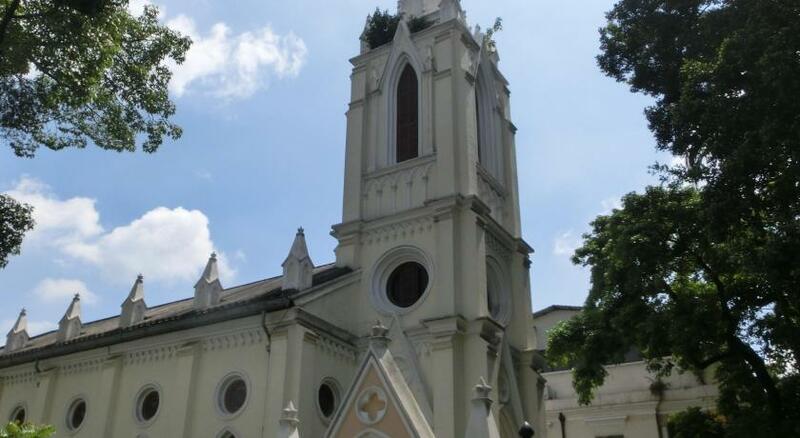 Located on scenic Shamian Island, Guangdong Victory is less than 1,000 feet from The Church of Our Lady of Lourdes. 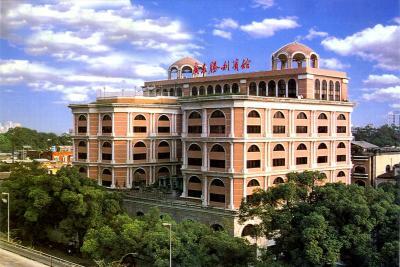 Guangzhou North Railway Station is an hour's drive from this property. Guangzhou Baiyun International Airport can be reached in 55 minutes by car. Featuring pleasant neutrals and bright hints of color, well-appointed rooms offer views of the city or landscaped gardens. They come with a fridge, safe and ironing facilities. 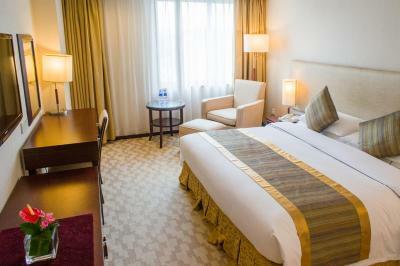 Rooms at East Building come with modern decoration, while rooms at West Building come with classic European-style decoration. Enjoy a soothing massage or use the sauna after an active workout at the fitness center. Li Wan is a great choice for travelers interested in street food, local food and markets. 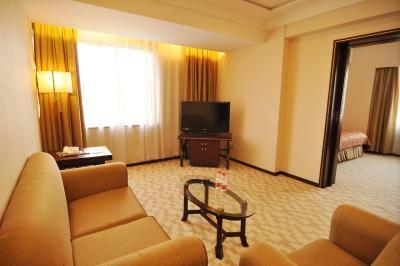 When would you like to stay at Guangdong Victory Hotel? Features city view and has a separate living room with computer. Room is decorated in Chinese style or Japanese style. 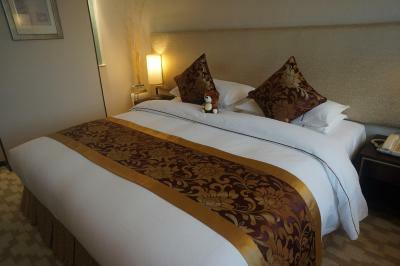 Room comes with free breakfast for up to 3 guests and a free extra bed. Guests who wish to use the extra bed are kindly requested to inform the hotel in the Special Request box at the time of booking. 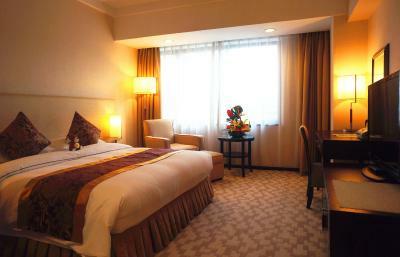 Please note that during Canton Fair (15 Apr to 6 May and 14 Oct to 4 Nov), the property does not provide free extra beds. This room only offers 2 free breakfast. Please inform the property if you wish to use an extra bed for an additional fee. Room includes free breakfast for up to 2 guests. Room features views of the city or garden and free usage of computer in the room. Offering garden views, this suite features a balcony, bathrobe and satellite TV. It is located in the West Building. 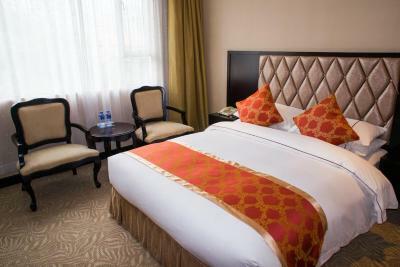 Kindly note that this room comes with free breakfast for up to 3 guests and 1 free extra bed. Guests who wish to use the extra bed are kindly requested to inform the hotel in the Special Request box at the time of booking. This twin room features a bathrobe, electric kettle and air conditioning. 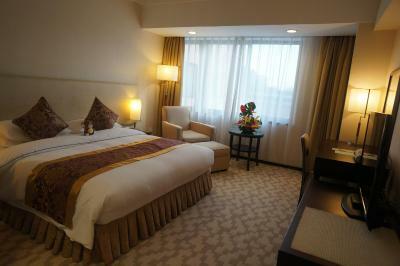 Located on peaceful and beautiful Shamian Island, Guangdong Victory Hotel is the best hotel as we have the most comfortable room and best service! Hotel surroundings – This neighborhood is a great choice for travelers interested in street food, local food and markets – Check location Great location - show map Guests loved walking around the neighborhood! 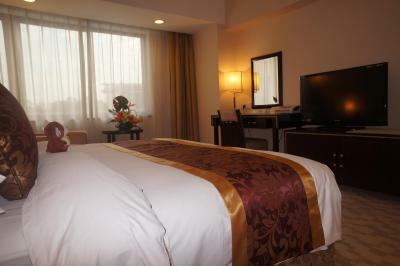 House Rules Guangdong Victory Hotel takes special requests – add in the next step! One child under 2 years is charged CNY 80 per person per night in a crib. Guangdong Victory Hotel accepts these cards and reserves the right to temporarily hold an amount prior to arrival. Please note that the property has 2 separated buildings at different address. Not enough staff at front desk to check-in. Check-in in Chinese hotels is always a bit on the rude side. Most staff will NEVER greet you but will say rather curtly "Passport". I understand that facing foreigners is still a bit of a problem language-wise but still, a smile and a greeting would go a long way! The breakfast was a mix of Chinese and Western choices, though I always prefer the Chinese option. It is usually much tastier and better! The location is great! Hotel rooms need repair. Furniture can also be updated. Facilities need major upgrade. Facility and equipment are old. Carpet is all worn out. Room was humid. Clear room and great location! The walls of the room need painting or new wallpaper and some of the sheets have holes that are patched. 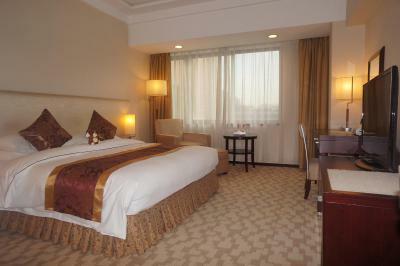 Nice large room always well cleaned daily. Location is beautiful. Non smoking room however there were still cigarettes smell coming in to the room. Gym has almost no equipment. Pool was closed. Poor breakfast choices. The Chinese restaurant in the hotel is so so. Shamian is a nice area to walk around. Walking to traditional foody areas is easy. Close to metro. The facility is abit old and outdated but overall quite clean.